Have a rustic moose on your tree with this cute laser-cut wood ornament! 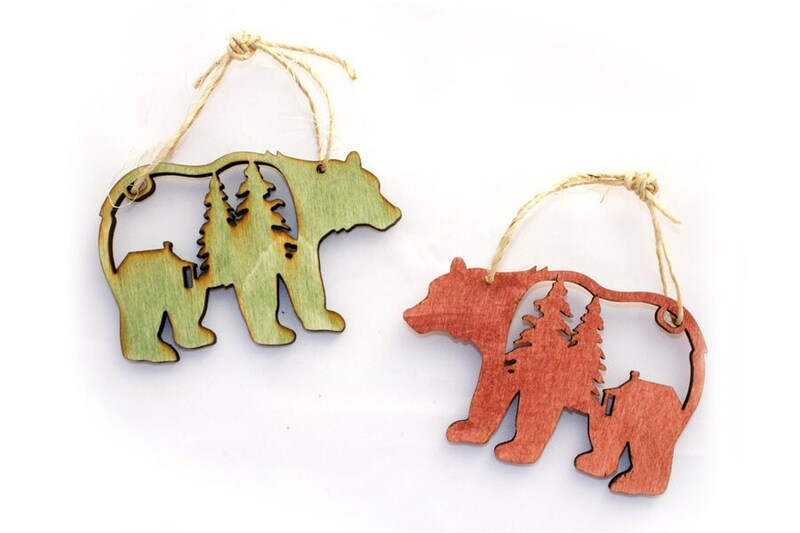 This bear features a cut out of a cabin and pine trees, perfect for your cabin or home in the woods, or a souvenir from your time in the mountains. These wood pieces make beautiful and unique gifts, perfect for mementos!